As teachers, we should always be learning and growing, and thankfully there are so many great books to help us do just that. So take a look at our list and see which of these you should add to your reading list. 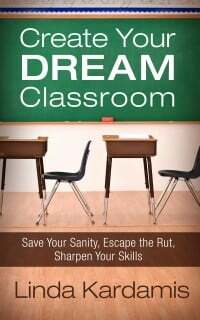 Create Your Dream Classroom. I’ll be honest – I debated whether or not I should list this first or more humbly put it at the end. But I decided to list it first because I honestly believe this book is just what many of you need. I wrote it to share the mistakes I made as a young teacher and how I turned a nightmarish first-year classroom into a well-managed, enjoyable second-year classroom. The book consists of fifty short lessons that are meant to be read one-a-day – so it’s perfect for over the summer. The First Days of School . 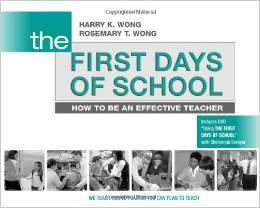 This masterpiece by Harry and Rosemary Wong is a must-read for those who struggle with the logistics of running a classroom. Or for anyone, for that matter. I poured over this book each summer for three summers – and it helped me immensely. That’s actually the reason I haven’t read all of these other books yet – because I spent so much time with this one. Teach like a Champion. This book by Doug Lemov comes highly recommended by my own mentor teacher, so while it’s still on my reading list, I know it’s got to be great. 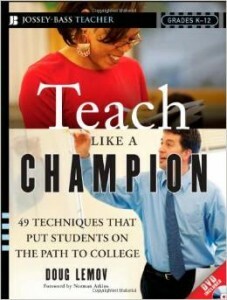 It focuses on 49 practical tips to help teachers – you guessed it – become a champion in their classrooms. Teach Like a Pirate. 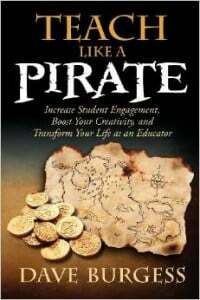 Dave Burgess has sure made a splash in the education world with his book Teach Like a Pirate. Boasting 5-stars on Amazon, this book provides inspiration and practical techniques to help you be more creative as engaging. 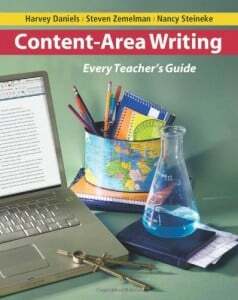 Content Area Writing: Every Teacher’s Guide. This book was assigned reading one summer at our school, and I’m so glad it was. Incorporating writing really took my middle school math classroom to the next level. So if you’re looking for something new, I highly recommend this book. You can also check out my articles Why I Incorporated Writing and 5 Easy Ways to Incorporate Writing. Whole Brain Teaching for Challenging Kids (and the rest of your class, too). I didn’t hear about whole brain teaching until after I’d stepped away from the classroom, but I immediately found the ideas intriguing. 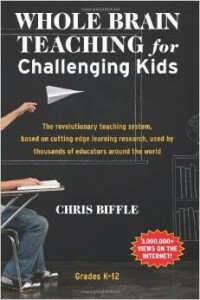 I definitely want to try this out when I get back in the classroom – and apparently Chris Biffle wrote the book on the topic. For those of you who’ve never heard of whole brain teaching, you kind of have to see it in action to understand it, so check out this short video. Rooftop Perspectives. 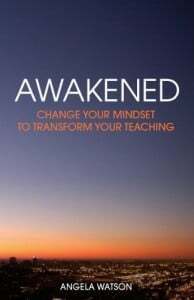 If you are a Christian educator, you really should check out this new book by Eric Reenders – especially if you teach in a Christian school. 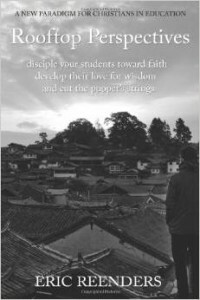 Rooftop Perspectives starts an important conversation about how to instill a Biblical worldview into our students and gives practical suggestions for how to implement a program to do just that in either your classroom or your entire school. What book has most influenced you as a teacher? What’s on your reading list now? One of the BEST books I have ever read to help put my teaching, management and discipline into perspective is Fred Jones’ Tools for Teaching. It’s funny, relevant, and easy to apply to any classroom, and it’s an easy read. 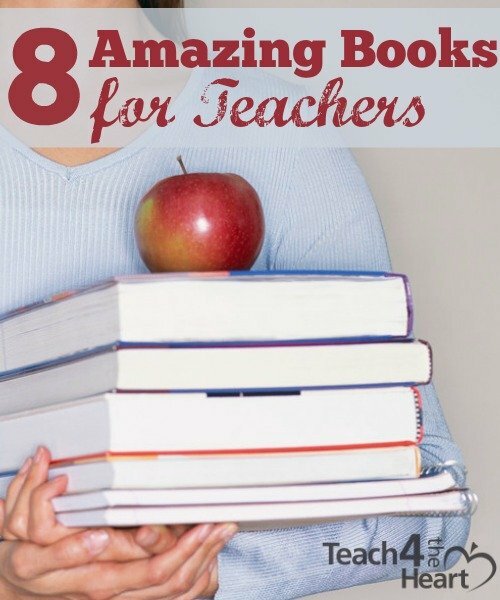 New and veteran teachers alike can find something in this book! I agree that The Book Whisperer should make a MUST READ LIST!